India should learn from China’s experience and appreciate the importance of developing a comprehensive nationwide plan that strategically identifies key regions and applies appropriate measures to tackle pollution at the source. 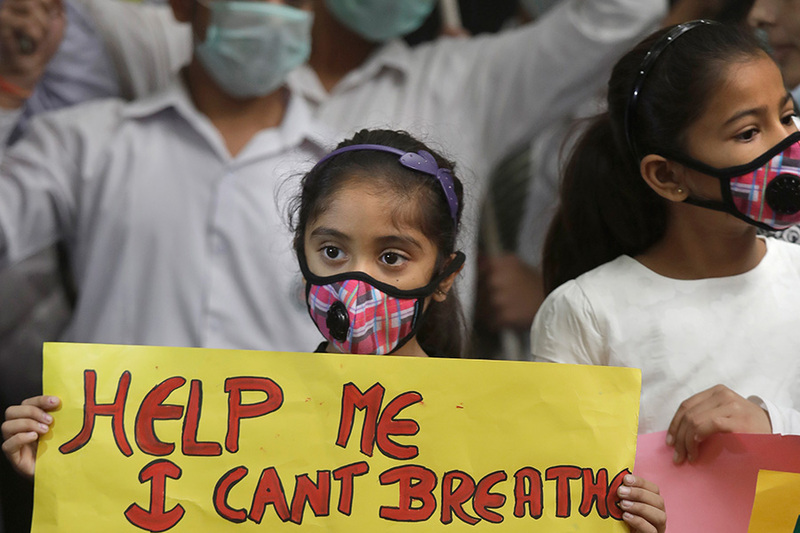 Last month, residents of India’s capital were breathing the city’s worst air in 17 years. In the wake of this pollution, intense debate emerged on the primary source of the smog. Delhi was blamed for not effectively managing and controlling pollution resulting from fireworks set off during Diwali festivities, and Delhi blamed surrounding states for not enforcing the ban on post-harvest stubble burning, claiming that added far more to the smog. Whatever the source, levels of fine particulate matter (PM2.5, a common measure of air pollution) reached 40 times the WHO’s guidelines of 25 µg/ m³, posing a huge health risk to all residents. Schools closed, and people were advised to stay indoors; the air was so dirty, you could taste it. This incident drew attention to Delhi’s air quality, and the fact that comparable capital cities have been seeing improved air quality while Delhi’s is only worsening. One such capital, notorious for poor air quality for years, is Beijing, where a generally improving trend has been seen over the past few years (though pollution levels were mixed in 2016). According to Greenpeace estimates, in 2013, 2014 and 2015, Beijing PM2.5 concentrations averaged 90.1μg/m³, 83.2µg/ m³, and 80.4µg/m³, respectively. Though measurement systems are weaker in Delhi, estimates for the same years stand at 138µg/m³, 145µg/m³ and 125µg/m³. Studies have also shown that levels of harmful fine particulate matter are significantly higher in Delhi during the winter months, and compared to Beijing, average concentrations were about 45 percent higher in Delhi between 2013 and 2015. Last November’s unexpected incident followed multiple unfortunately timed events and highlighted two key issues hindering improvements in Delhi’s air quality. First, existing policies to address sources of pollution within the city are simply ineffective, and more comprehensive solutions are needed. For example, in order to curb pollution from motor vehicles, the Delhi government conducted two phases of what is referred to as the “Odd-Even Rule”, which only allows vehicles with odd or even numbered plates to run on certain days, effectively eliminating half of the private traffic. The rule did not address the fact that 64.3 percent of freight in India is transported by road, and many vehicles carrying freight to the North of the country pass through Delhi at hours outside of the rule. Furthermore, restricting vehicles temporarily does not address the long-term problem—a deeper look at the city’s infrastructure is needed. Improved public transport would create incentives for residents to opt out of driving voluntarily. Also, creating an express bypass to allow trucks to move more quickly through the city would reduce the time they spend polluting while stuck in traffic. China, on the other hand, has already taken significant steps to develop more appropriate and sustainable policies, especially the recent “Plan on Air Pollution Prevention and Control in Key Regions”. The Plan proposes carefully designed policies to optimally handle sources of pollution regardless of their origins. For example, both Delhi and Beijing are hit by pollution from neighboring regions due to crop stubble burning. India has already banned crop stubble burning in states surrounding Delhi, but because no effective alternatives for disposal have been provided to farmers, they continue to burn despite the ban. Beijing, however, has a more comprehensive approach: in addition to banning the activity, China has explored incentives to motivate farmers to do different things with crop stubble and is providing subsidies for agricultural equipment to facilitate more efficient removal than burning. Many of Delhi’s smog sources are similar to those of Beijing, so India would benefit from understanding the steps China has taken to fight pollution. The second issue for India that emerged in November is that strategic planning and coordination between Indian states to manage the sources of pollution failed. Given the cross-boundary nature of air pollution, one might intuitively assume that an integrated regional approach would be needed to tackle the problem. However, India now has 29 state pollution control boards and 6 board-like committees for Union Territories, each individually addressing air pollution within small geographical boundaries. These entities are governed by three overlapping national laws, namely the Water (Prevention and Control of Pollution) Act of 1974, the Air (Prevention and Control of Pollution) Act of 1981, and the Environment (Protection) Act of 1986. As a result, the mandate of each board is blurry and unclear, and standardized governance of air pollution matters across Indian states is a glaring void. In addition to these Indian state-level boards, the Central Pollution Control Board (CPCB, a statutory organization formed in 1974) serves as a national body on the topic. The CPCB sets national standards and holds the power to plan and execute a nationwide program to prevent, control and abate air pollution. However, the only current nationwide program addressing air pollution in India is the National Air Quality Monitoring Programme (NAMP) which only measures ambient air quality at a few locations where monitoring stations are set up. When the prescribed national standards are violated, the CPCB requires the offending state to develop its own plans to tackle the problem, which are implemented only within the jurisdiction of that Indian state. No accountability measures are imposed on the plans, and no regional coordination is required. While the law allows for a nationwide program to be developed, no such program exists yet in India. China, however, has already overcome this hurdle. The unique “Plan on Air Pollution Prevention and Control in Key Regions” marked the first attempt of China’s central government to develop a comprehensive strategy for air pollution prevention and control, covering three key regions and ten city clusters. One such key region is Beijing-Tianjin-Hebei, wherein reducing pollution in the capital is addressed by monitoring the city as well as regions surrounding it. Delhi, in particular, would greatly benefit from this approach because it borders three Indian states: Haryana, Rajasthan and Uttar Pradesh. Although Punjab doesn’t border the city directly, it is also nearby. 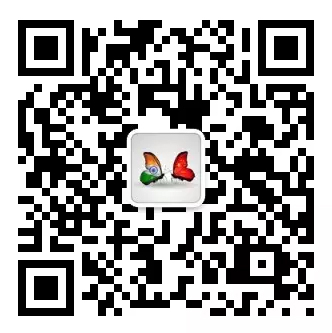 India should learn from China’s experience and appreciate the importance of developing a comprehensive nationwide plan that strategically identifies key regions and applies appropriate measures to tackle pollution at the source. Not only is pollution a cross-boundary issue, but sources of pollution are not all stationary nor contained within the jurisdictions from which they originate. Like Beijing, Delhi needs to factor in such myriad issues when developing policies to address air pollution. The author is a consultant at the National Institute of Public Finance and Policy (NIPFP), an autonomous research institute under India’s Ministry of Finance. Prior to this, she worked on public policy issues with the UN in Indonesia, and the GIZ in Cambodia.